Editor’s Note: Your sore throat just won’t go away, so you schedule a doctor’s appointment. You go in, and your doctor prescribes you some medicine. You gripe about a few other health concerns, and your doctor suggests some blood tests. A month later you receive a bill: a whopping $500 for a visit you thought was covered by health insurance. What happened? 1. How much will this test/surgery/exam cost? “I don’t know” or “It depends on your insurance” is not an answer. 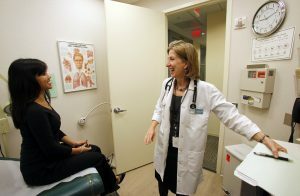 The doc­tor should give you a ballpark range or the cash price at the center where he or she refers. Many things that sound like simple little tests are now priced at many thousands of dollars. 2. How will this test/surgery/exam change my treatment? If the answer is “It won’t, but it might be good to know,” take a pass. Doc­tors likely feel the need to do something or order something if you have a complaint, especially at a time when office visits can cost over $500. When a doctor begins a suggestion with “Why don’t we just …” there’s often no compelling reason for the test at all. 3. Which blood test are you ordering? What X-ray? Why? When doctors order blood work, they are frequently just ticking off boxes on a long electronic check­list, with no awareness of how much any might cost. Your questions alone will make them more dis­cerning. 4. Are there cheaper alternatives that are equally good, or nearly so? 5. Where will this test/surgery/exam be performed — at the hospital, at a surgery center or in the office — and how does the place impact the price? 6. Who else will be involved in my treatment? Will I be getting a separate bill from another provider? Can you recommend someone in my insurance network? For more on the topic, watch economics correspondent Paul Solman’s full interview with Rosenthal on Thursday’s episode of PBS NewsHour. 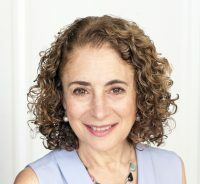 Elisabeth Rosenthal is the editor-in-chief of Kaiser Health News and the author of "An American Sickness: How Healthcare became Big Business and How You Can Take it Back." Prior to joining Kaiser Health News, Rosenthal spent 22 years as a correspondent at the New York Times.